The Rising Sun. 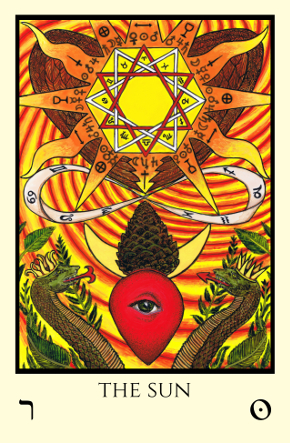 Had to post an image of the Tabula Mundi tarot Sun card in gratitude, because now that the Winter Solstice has passed here in the Northern Hemisphere, the Sun will continually and incrementally gain in strength and the days will lengthen as it rises in the sky. I’m grateful because to me one of the many things the Sun symbolizes is radiant health. I’m glad to have mine back. I have not been active here for a long time. I got bronchitis right after shipping out the big push of decks in October, and it turned into pneumonia and took me down for the count. It ended up a full two months before I felt like I was ok and um, truly not going to die. It sounds dramatic but that is how it went down. My annual birthday tarot reading all I wanted to know is if I was going to die this year and it very clearly told me when I’d get better: right around the Winter Solstice. It was a Sun wheel tarot reading done on my birthday at sunrise, and the first house card was the Devil and the second house card was the Sun. So that told me all I needed to know. At the time, I was relieved to see that I definitely was not going to die (because really, it was a question in my mind) and while relieved to see the markers of life force returning, I was disheartened to see how I still had weeks to go until Solstice, as at that point it had already been around six weeks. But hurrah for the Sun; I am truly back. I have a tenth house Sun and have all my life felt a strong affinity for the solar force and love for the solar gods. I don’t know why I live here in New England where the Sun’s season is so short. By the way, here is a really cool and very short video, a fascinating glimpse of the patterns of the Sun from Solstice to Solstice put out on NASA’s “astronomy of the day” site on the Dec 21 2016 solstice. It is well worth a look. It not only shows the analemma/lemniscate but also other patterns traced in the sky by tracking the Sun over time. 93 MM miles away. A reminder of Love and Will, and so very beautiful. 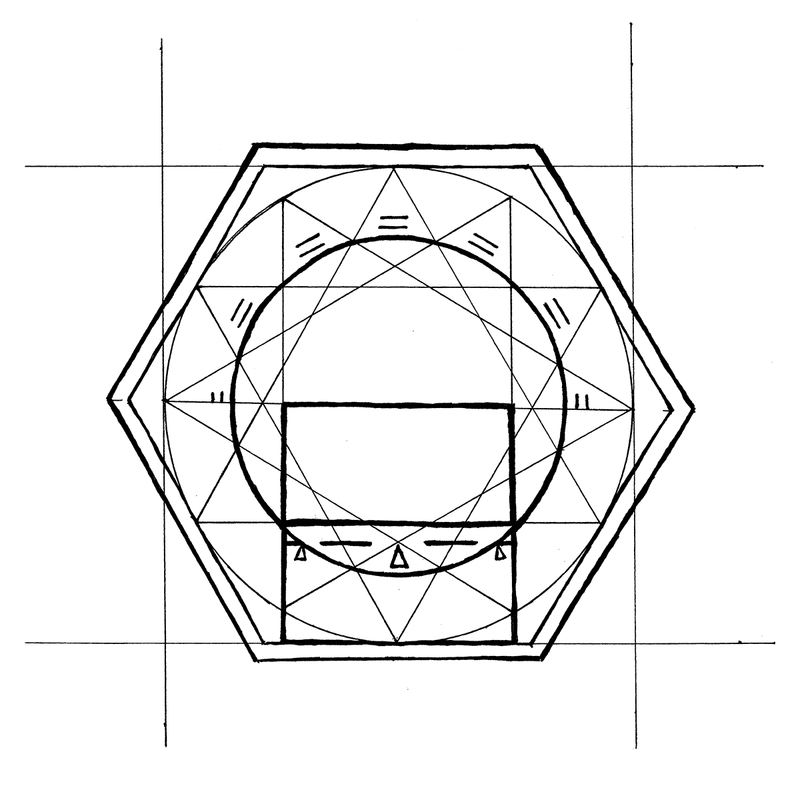 The Sun card of the Tabula Mundi Tarot shows all the decans; it is actually very similar to a ground plan of the Globe Theater, a Memory Palace. Tabula Mundi’s Sun card is a Memory device. Actually the entire deck is a memory device for those that have eyes to see it. Right now we are in Capricorn season. You can see the Capricorn Glyph on the right side of the Sun card image, at the horizon line. Capricorn season begins the day of the Winter Solstice, around December 21st in the Northern Hemisphere, and from there the Sun begins to increase in strength. But we won’t really notice it until we approach the cross quarter holiday Imbolc around Feb 1st. Before the Sun’s strength becomes noticeable we first have to pass through the last decan of Capricorn, in mid to late January. 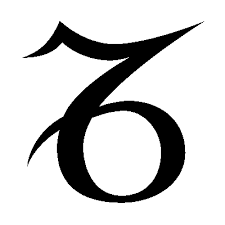 This is the decan of Capricorn ruled by the Sun; the Lord of Power. The strength and Power of The Devil and the Sun – a craving of the life force. Sol Invictus, the Unconquered Sun. Really, one can see a stable life force is happening here in this decan. The earthy, lusty Devil, warmed by the fire of the world: the Sun. The Devil can take the heat. 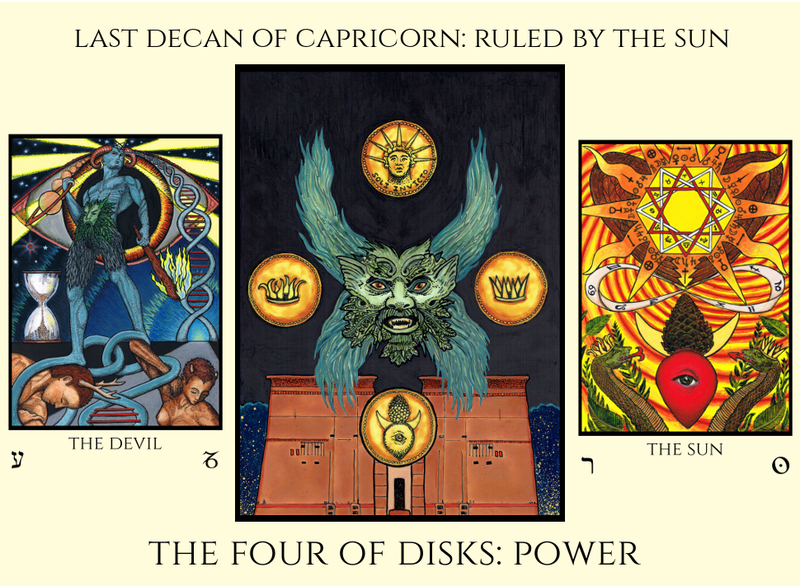 Here in the Four of Disks, we are in Chesed which also lends the beneficent and stable qualities of Jove. 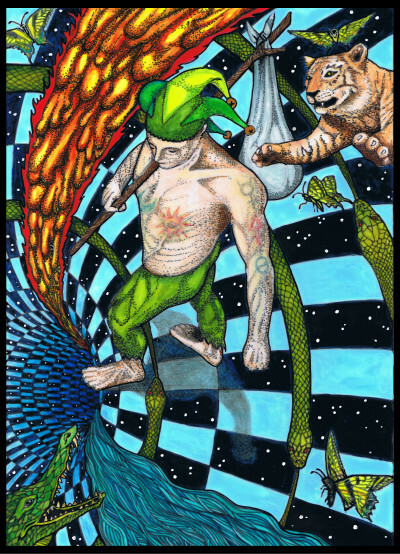 The Fours in tarot can also be considered in a sense the Aces of the more material world, or the first card below the Abyss. I often think of Disks as having an additional correspondence beyond money; they are also all about the body, the only material wealth we really can possess even if only transient. So this card in addition to the power of wealth is also stable health and strong life force but my caveat would be to not get stagnant, and to not hold the fort too tightly. Let movement bring a breath of fresh air into the fortress once in a while. 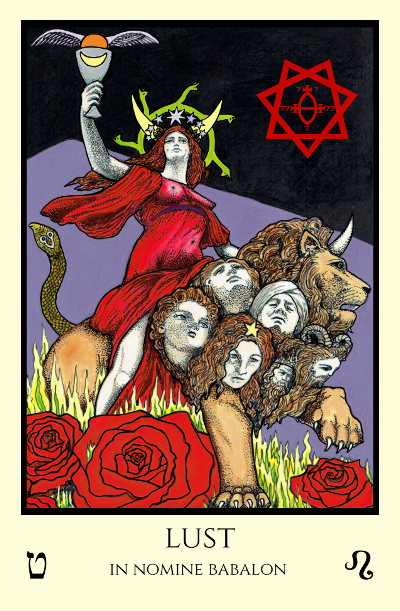 I currently have a few copies of the Babalon edition of Tabula Mundi Tarot available for purchase at www.tarotcart.com. This is a super limited edition of only 156 decks. I’m only releasing them in batches of 7, as I have to make components of each one by hand. They come in an exclusive handmade and never before seen tarot “corset and garter” wrap set in the colors of Babalon and Binah: Scarlet, Ruby, and Black, with metallic accents, and each one is unique and handmade in real satin and special art papers chosen for their seductive feel. These have 93 cards including the (no longer) secret zodiacal cards referenced in Book M: Liber Mundi (appropriately on page 77), a Minutum Mundum color scale reference card, and an all new Lust card In Nomine Babalon. They also have silver foil on the fronts in addition to the holographic backs and the sexiest deck packaging ever made. I can say that with confidence and I am not one to do so lightly. I only put them up as I make them so if you do not see them for sale at www.tarotcart.com then they are only available if you email me and ask for a Paypal invoice. If you really need images, you can Google for them as some have been posted. But they won’t do her justice. Since there are only 156 copies in total that will be made, I figure they will only go to devotees of Babalon and in a sense She will choose as She will decide who to lead to them. All I have to do is make them for her when I can and make them available. On Christmas Eve’s Eve, over and out. 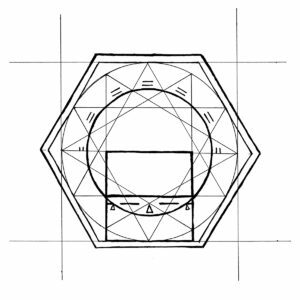 I wish for you the blessings of the four quarters, each clearly seen on the Sun card of Tabula Mundi Colores Arcus: Light, Love, Liberty, Life (the Law for all).